Some injuries happen and there's nothing you can do about them, but there are some ankle injuries you can prevent. Volleyball players are extremely susceptible to ankle injuries from all the jumping and landing involved in the sport. You can land incorrectly or land on someone's foot, both of which can result in a sprained ankle. By strengthening and improving range of motion for your ankle, you can lessen your chance of injury. Ankle injury prevention is about getting the joints loose so you're able to react quickly and move in multiple directions. Ankle sprains happen when the ligaments in the foot and ankle are stretched beyond their abilities. When ligaments become stretched and too loose, they become unstable--leading to sprains. 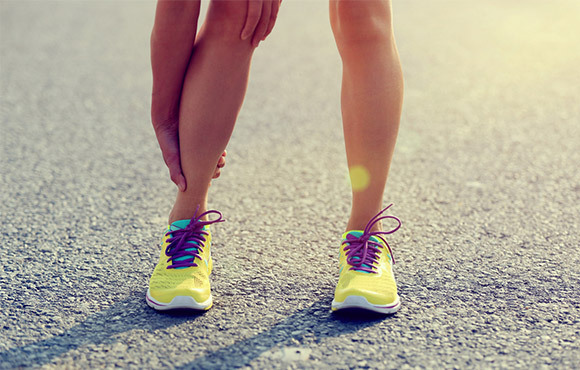 Ankle sprains, while common, can be avoided if you train smart. Perform these ankle exercises barefoot daily to maximize strength. Sitting on a chair or on the floor, lift your leg into the air. Draw each letter of the alphabet with your toes. Switch and do the same thing with the other foot. Inversion ankle sprain: The most common type of sprain, this occurs when the foot falls inward and stretches the outer ligaments too far. Pain occurs on the outside of the ankle and not on the inside of the ankle. Eversion ankle sprain: Occurs when the foot is twisted outwards and the inner ligament is stretched too far. Pain will occur on the inside of the ankle. 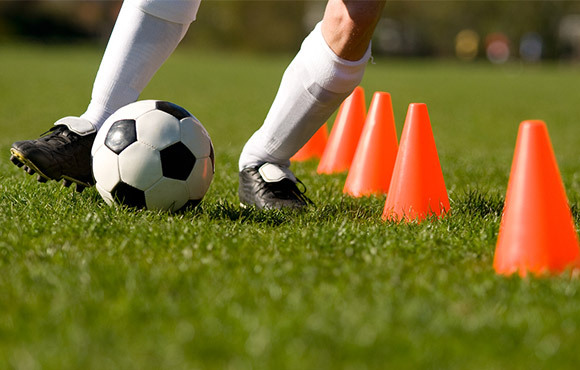 Ankle sprains, while common, can be avoided if you train smart. Sitting on a chair or on the floor, lift your leg into the air. Roll your ankle clockwise making five small, five medium and five large circles. Do the same thing counterclockwise. Switch legs and perform both the clockwise and counterclockwise ankle rolls on the other foot. Sit on the floor with one leg extended and the other bent at the knee. Place a resistance band around the top of your foot and anchor to a secure object/pole. Pull your foot back toward your shin and then slowly return your foot to its original position. Do 50 reps and then switch sides. Sit on the floor with one leg extended and the other bent at the knee. Wrap the resistance band around the inside of your foot and the other end secure on an object or pole. Pull your foot inward and then slowly return to your starting position. Do 50 reps and then switch sides. Once the previous exercises feel easy, you can increase the strength of the resistance band or progress on to full calf raise exercises. Do 20 reps at a time and then switch legs. Continue to increase ankle strength with plyometrics. Hop on one leg focusing on your ankle stability. Do 20 reps at a time and then switch legs.